Support is a coordination of the outflow of breath combined with the appropriate resistance in the body. Imagine you are about to say something but you've forgotten what it was. You will feel a certain 'resistance' in the body muscles especially in the lower abdominals and back muscles. This is easier to feel when sitting down. Then, with this sensation going on, allow a very small amount of air to escape from the mouth by making a hiss sound. The solar plexus area in your body is not held but not floppy either, just free. That is what support feels like. Low breath is what some call abdominal breathing, which means you don't breathe in by letting your shoulders go up but by allowing the abdominal area to move gently up and down as you breathe in and out. This can be easily achieved by pretending you are sucking air into a straw or bending forward with your head all the way down and then breathe in gently. It is important not to take huge amounts of breath, just a little bit will do. Vibrato is a result of coordinating good outflow of breath with resistance in the body. Some singers have a natural vibrato i.e. they never had to work on it, it just 'happened' when they started singing (lucky them! ), other singers have no vibrato at all when they first start singing. I find that with this technique after a while a natural vibrato appears as the throat starts to stay open and the body coordination mentioned above is established in the singer's use of the voice. Then there are singers who have either a 'rapid' vibrato or what some call ' a wobble'. For articles on those, please feel free to visit the past article section on www.voiceteacher.com. This word has different meanings. It can mean a specific type of soprano e.g. the Queen of the Night in Mozart's Magic Flute is a coloratura soprano. It means she can sing very high and produce very long rapid runs of notes without seeming to run out of breath. The coloratura voice type has usually a 3 octave range or more but prefers to sing in the high range, and certainly sounds at her best in that part of the voice as the high overtones in the voice carry the sound over the orchestra. 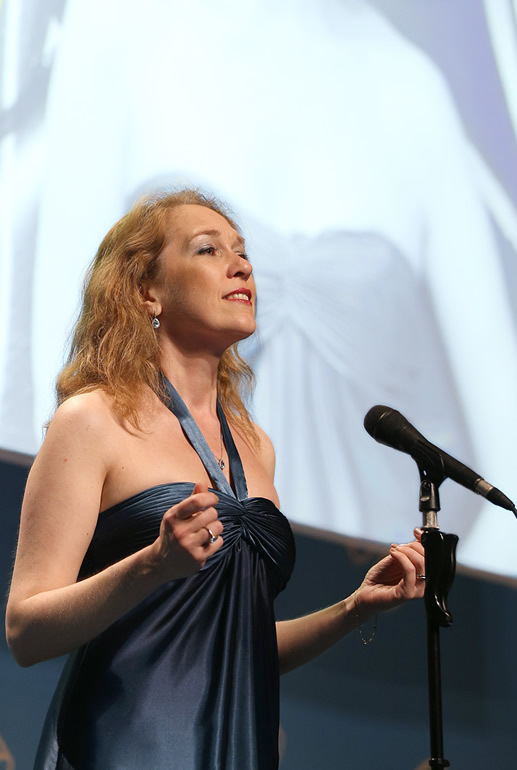 When heard in a small room, the darkness in the middle voice of this voice type can easily be mistaken for a mezzo soprano especially if the higher range has not yet been developed. Coloratura can also mean the succession of rapid notes as in music by Handel, Mozart and Rossini etc. The succession of the notes is achieved by rapidly repeating the vowel in coordination with balanced breath flow.